Assad tells the BBC that the Idlib province chemical attack Is "100% fabrication". 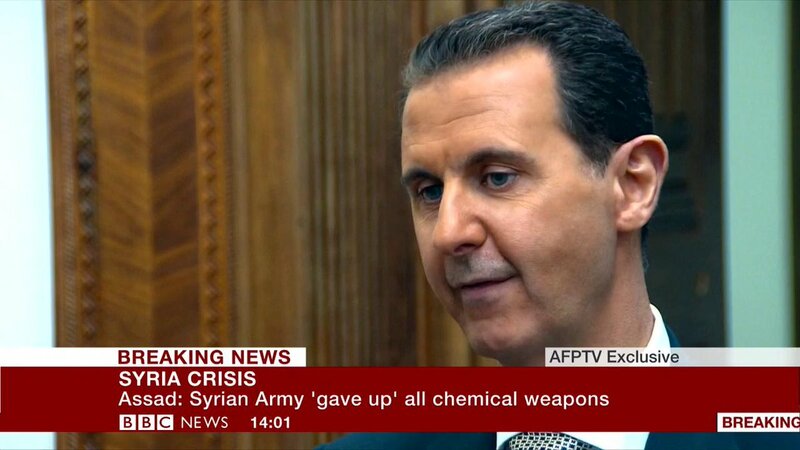 Assad finally gives his thoughts on the Idlib province chemical attack. Assad is calm, measured, and his comments are intelligent and coherent. Following yesterday’s icy meeting in Moscow between Rex Tillerson and Russian diplomat Sergey Lavron, the propaganda campaigns between the U.S., Syria and Russia seem to be ratcheting up to full force.